Oosthuizen is just one of seven players to have finished runner-up in all four of golf’s Majors. The SA Open has a local winner once more. After carding a final round four-under-par 67 on the Firethorn layout at Randpark Golf Club yesterday, South African golfer Louis Oosthuizen won his first SA Open title by six strokes. The 36-year-old Oosthuizen couldn’t hold back the tears after sinking his final putt yesterday to finish on 18-under-par, six clear of France’s Romain Langasque. He won the oldest golf Open at St Andrews in 2010. Yesterday he added the world’s second oldest open title to his collection of victories, ending a title drought that stretched back almost three years to the ISPS Handa Perth International in February 2016. After the last two victors were Englishmen at Glendower Golf Course, Oosthuizen’s clinical short game made sure the trophy will stay on home soil. He led after the opening and third rounds, and despite two bogeys in the first three holes yesterday, he found his groove, and in the process kept his competitors at bay. 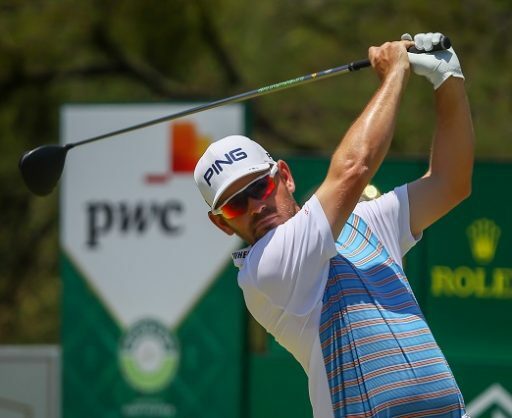 Oosthuizen, the highest ranked golfer at the SA Open in 36th spot, started the tournament on fire, carding a flawless nine-under-par 62 on the Bushwillow layout on Thursday. He admitted he wasn’t feeling 100% in the second round on Friday, but still managed a 70, before carding a matching pair of 67s on the weekend. After dropping shots on hole two and three yesterday, Oosthuizen’s lead was in jeopardy, especially with compatriot Branden Grace making a charge with five birdies in the opening seven holes. But Grace, and so many others faltered, and Oosthuizen found his composure to race home for the win. When he eagled the par-five 14th, it was all over. Oosthuizen is just one of seven players to have finished runner-up in all four of golf’s Majors. Let’s hope this is the springboard Oosthuizen needs to launch a successful 2019, and perhaps add another Major to his 2010 Open Championship victory.